It's Tuesday and there's not much to say for it. Except that there is a GIVEAWAY on the blog today and for the rest of the week! There are also some super cute pumpkins that are going tot steal your heart. Let me explain. I'm always looking for something new....new décor, new recipes, new fonts, new photos. I'm looking for something new most of the time and I don't even know it. The novel aspect is what pumps my enthusiasm and my creative side is the catalyst for ideas. For a couple of months now there has been pallet wood lounging in my garage with no place to be and nothing to transform into. Then last Thursday a genius idea dawned on me. The pallet wood would become pumpkins. 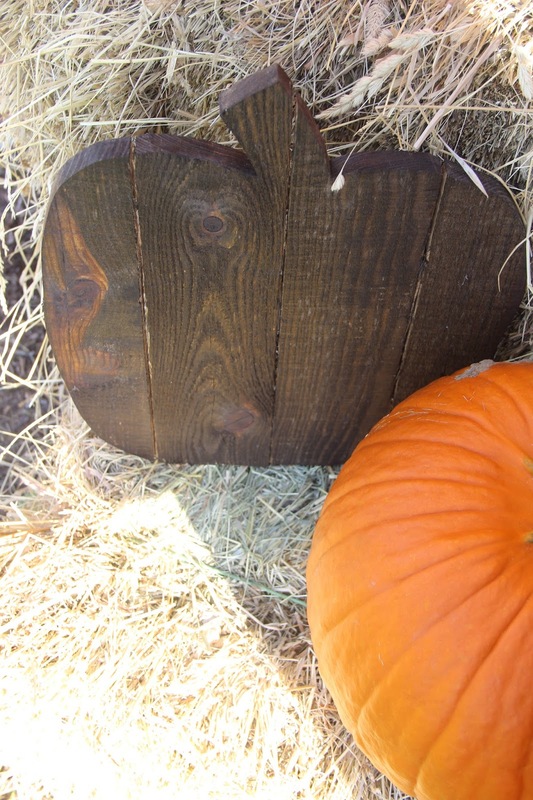 Yes, we would use the reclaimed wood, trace a pumpkin, and husband would cut it out. It would create the rustic, natural look that I adore, and would provide my home with more fall décor. Win. Win. Over the weekend husband and I set out to making our sweet pumpkins. It took us no time and with a little stain and some personal touches, our newest autumn decorations were perched next to their real counterparts. We love our little wooden pumpkins! And I've got enough pallet boards to keep making them! If you're looking for a FREE way to spruce your home for fall, this is it! Now if you're looking for a new snack, something super delicious, while also be healthy for you, then you're in the right spot. I'm teaming up with KIND today to bring you a GIVEAWAY. KIND has graciously offered to send 8 of their new Nuts & Spices flavors, Dark Chocolate Mocha Almond and Caramel Almond & Sea Salt, to the winner! And they are SO good. Packed with protein and fiber to keep you moving all day long, I've never tasted a better bar. Seriously, and I have tried my fair share. Husband loves them too. Not to mention these new flavors remind me of autumn, which makes me love them even more! Be sure to enter, before next Tuesday at midnight when the giveaway will close. The winner will be announced next Wednesday! I will be checking to make sure the winner's giveaway entries (blog comment, social media sharing, and/or following me on Instagram) were completed. If they were not, a new winner will be randomly selected.